Task–based and comprehensive, this Autodesk Official Press guide is devoted to InfraWorks 360′s bridge design vertical application. It′s crafted to get you up to speed and back to work quickly, with step–by–step tutorials, illustrative screenshots, and a companion website featuring downloadable starting and ending files. You will tour the interface and get acquainted with the tools, then learn to apply each tool and function as you create new bridge designs and add detail. 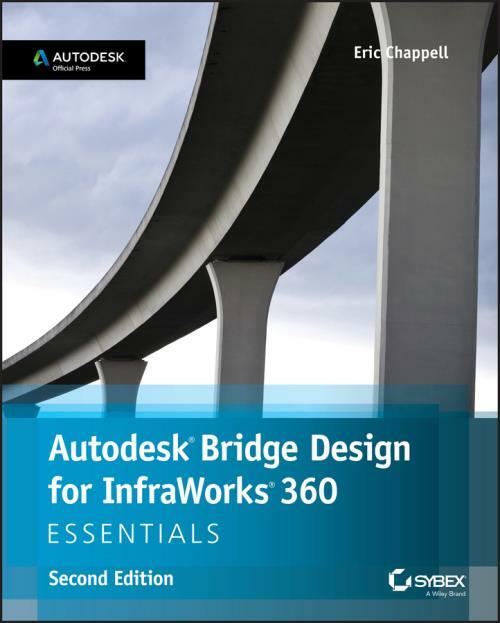 By the end of this book, you′ll be ready to design beautiful, structurally viable bridges faster than you ever imagined possible using Bridge Design for InfraWorks 360.